For all things sticky and fun! Each day 2-3 Canadians die from ALS. The disease ( also known as Lou Gehrigs Disease) is a neuromuscular disease which progressively kills nerve cells, leaving the victim helplessly paralyzed. Thanks to generous help of participants everywhere, the ALS Ice Bucket Challenge has raised over $10 million in donations in Canada alone. 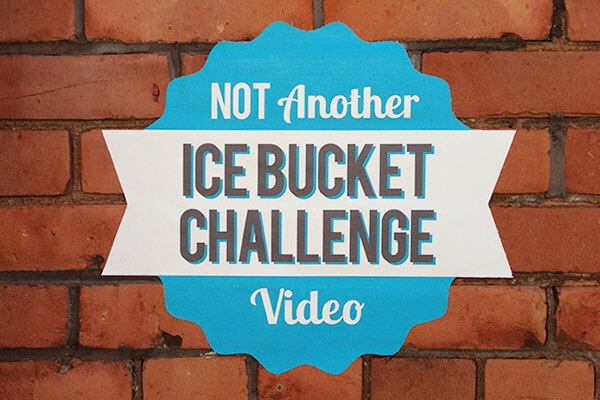 StickerYou's custom vinyl stickers stand up to the ice bucket challenge, and so did our social media coordinator, Danielle (she didn't see that coming), but we hope you got the main message. From now until September 30th, for every order placed using promotional code ICEBUCKET 10% of the order will be donated to the ALS Foundation. Simply type the promotional code into the promotions box on the payment page during checkout. Your order won't change, but 10% of your payment will be donated on behalf of StickerYou Customers. Thank you to all who donate towards this cause and those who participate in our ALS promotion. Get weekly inspiration, fun ideas, and great deals delivered to your inbox! Thanks for signing up! Great things are coming your way! Which Sticker Material is Right for You? Which Label Material is Right for You?